When I think salad I don’t necessarily think “entree”. That’s not true thought, is it. Many restaurants serve salads as entrees and done right, salads can be filling and satisfying. For me, the most important part of a salad is the PROTEIN. I am biased, because I cannot go one day (or one dinner) without protein, be it chicken, beef or fish. It’s a must for me, as simple as that. My whole family is like that. We are meat eaters. So when I found this recipe I was delighted. Don’t get me wrong, I love eating salads for lunch. But I always put either chicken breast, tuna or eggs in it. It’s just not satisfying to me without it. This is really a very simple recipe. 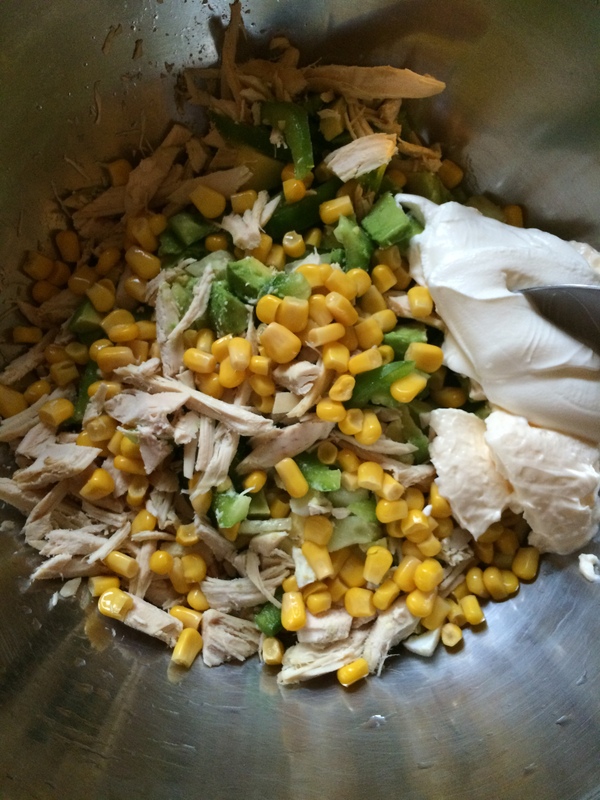 Minimal cooking (if you go the rotisserie chicken route that I do everytime), just some chopping and mixing. 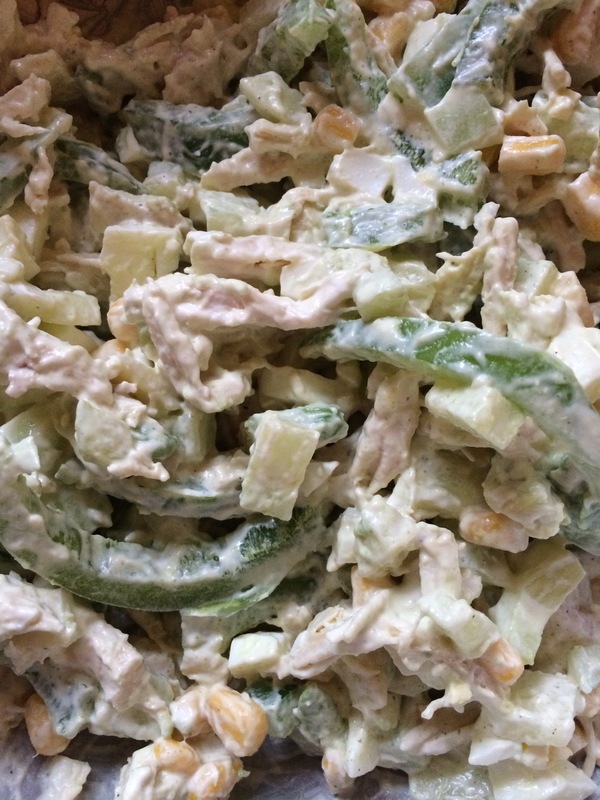 Chop everything and toss in greek yogurt and mayo. Mix. Cover and refrigerate. That’s it. No fuss, no cooking. Easy and delicious. What a yummy looking salad! It is the perfect combination of protein and veggies…Goodbye to summer but at least autumn has been warmer than usual! Hope all is going well and greetings from NYC! Thank you! I know, I’ve been waiting for fall but we haven’t had luck with the weather cooling down here in NY 🙂 It will come soon enough! Take care!